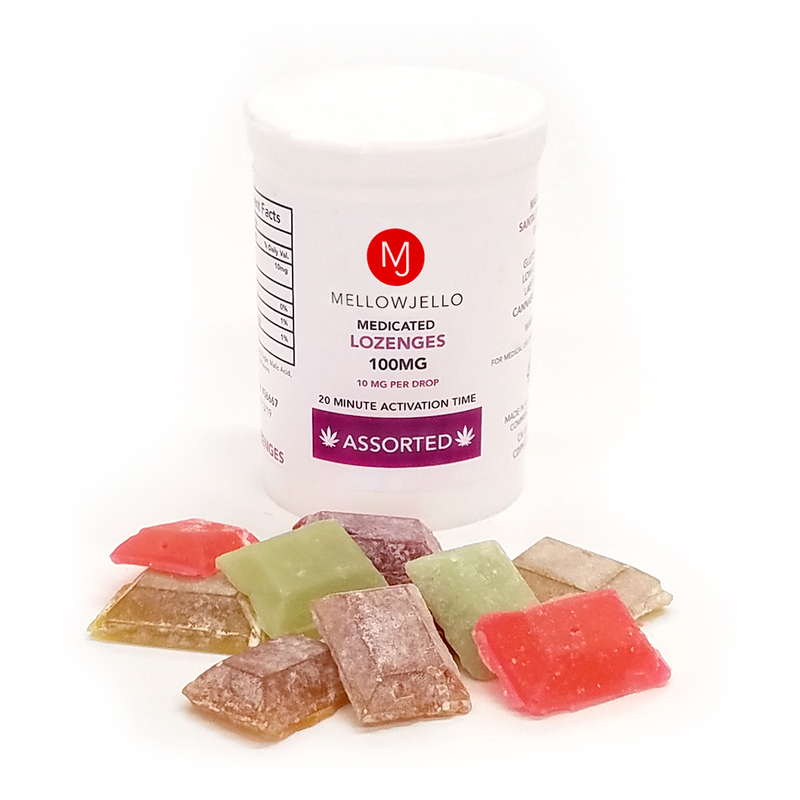 Our medicated lozenges are THC infused and specially micro-dosed so you can relax in your own comfort zone. Each batch is tested by 3rd-party laboratory using full spectrum pesticide and pathogen tests. Comes in a pack of 10 Child Proof Pop-Top bottles. 10 bottles per pack. 20 lozenges per bottle. 5 MG of THC per lozenge, 100 MG per bottle. Choose from 24 flavors.